By learning tango you'll experience a beautiful and unique way of connecting with other people. 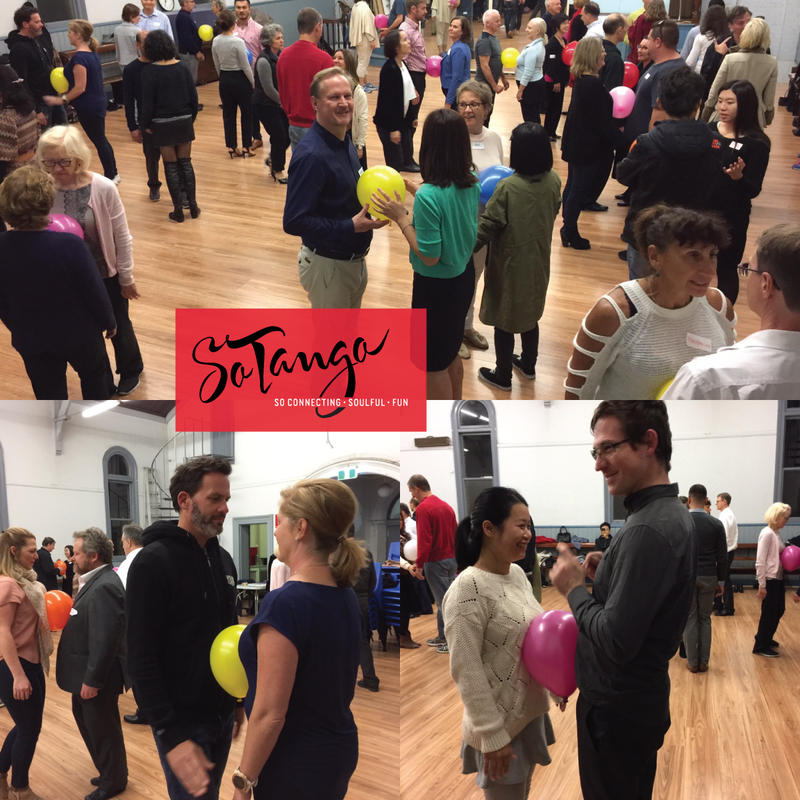 You'll get to connect with fellow students and Sydney's tango aficionados through SoTango's fun social events, tango parties ('milongas') and outings to other milongas around Sydney. At SoTango you'll learn that tango is so much more than just a dance - it's a 'moving meditation' and a conversation of movement between you and another soul. You don't find its mystery from memorising choreography or mimicking other dancers: you find it within. Many of our new students are pleasantly surprised that tango is so much more than they expected; that it's such a spontaneous, soulful dance, and a wonderful way to practice being present. It's a no brainer that you learn and progress best when you're relaxed and having fun - so we make sure the learning ambience is welcoming and light hearted. At SoTango you'll be taught technique and musicality which is based on precision, captures the essence of tango, and is flavoured with a good dose of fun!